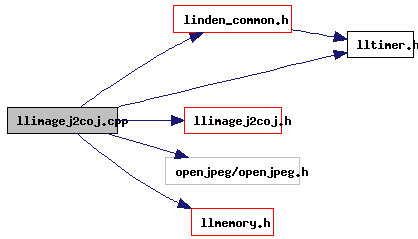 This is an implementation of JPEG2000 encode/decode using OpenJPEG. Definition at line 61 of file llimagej2coj.cpp. Referenced by LLImageJ2COJ::decodeImpl(), LLImageJ2COJ::encodeImpl(), and LLImageJ2COJ::getMetadata(). Definition at line 47 of file llimagej2coj.cpp. Definition at line 52 of file llimagej2coj.cpp. Definition at line 41 of file llimagej2coj.cpp. Definition at line 75 of file llimagej2coj.cpp. Definition at line 68 of file llimagej2coj.cpp.